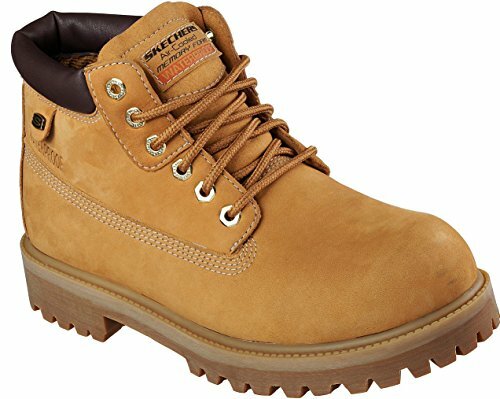 Get on your daily grind with these rough and tough ankle boots from Skechers®. Leather upper. Lace-up front. Padded collar for added comfort. Lightly padded insole. Synthetic lug outsole. Get on your daily grind with these rough and tough ankle boots from Skechers®. Lightly padded insole. Synthetic lug outsole.